MMA is one of the fastest growing sports in the world. It’s gone from completely unknown back in 2001 to selling out the worlds biggest arenas & record pay per view numbers. From the outside, the perception of the sport is that it’s just brutal cage fighting with no rules. When you get to know the sport and understand what you’re watching, you very quickly learn it’s incredibly complex and is very often likened to a game of chess. It’s an art form. Watching someone transition on their back to lock in a triangle choke and win by submission can be a thing of beauty (& incredible skill). One of the main benefits of learning MMA is self defence. Knowing how to defend against an attacker and being able to take them down & hold them down can genuinely be the difference between a hospital visit (or worse) and not having a scratch. The more positive side of learning MMA is how fun it is. You’re challenged mentally with working out what to do & how to do it whilst stopping your opponent doing what they want to do. Plus, at the end, you’ve had a full body work out and have a big smile at the end of it. The sense of community MMA builds, everyone’s desire to learn more and the environment it creates means the sessions together become one of the most looked forward to parts of your week. At PT-Health in Leeds, we started running a Foundation MMA course at the start of 2016 after we had ex-pro MMA fighter Costas Doru join us. Costas showed us all the benefits we just mentioned, we quickly became hooked and we wanted to share the experience with everyone we could. Training sessions vary from one to four sessions a week, depending on your needs, motivation and budget. You have access to one of our clubs free each month. We currently have two MMA Club sessions each week and one Boxing Club session each week. One to one training times are completely catered to your needs providing we have those time slots available. 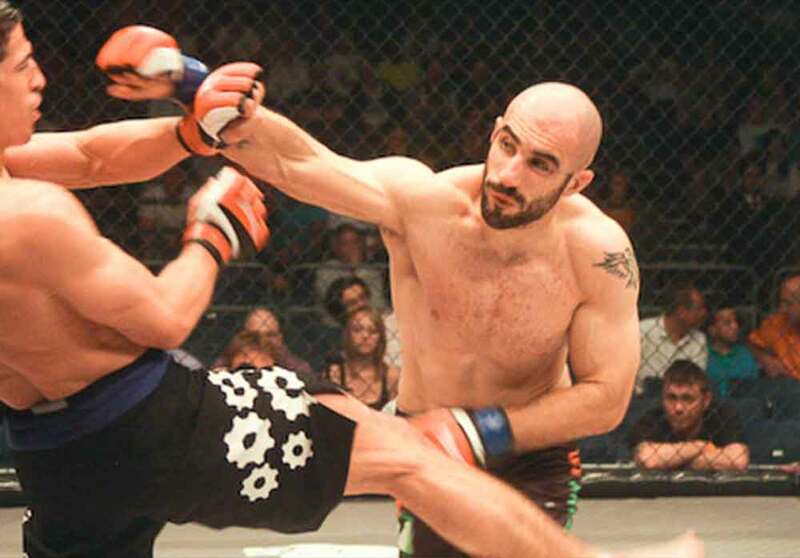 Your instructor is Costas Doru, the unbeaten former BAMMA fighter. ▲ This video shows Costas dishing out a beating! ▲ And another showing he can take a beating! If you’re interested in learning MMA and training one-to-one with Costas, let us know below and you'll be first to know about the next course. Have you previous experience of MMA Training?